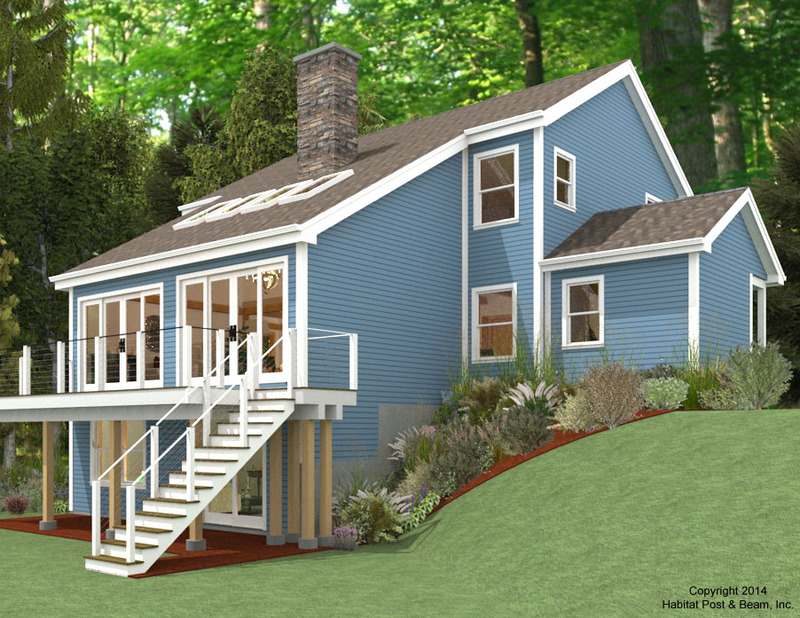 Part of our award-winning Passive Solar Series (http://www.postandbeam.com/plans/filtered?type=houses&houseDesignGroup=passiveSolarHomes&keywordSearch=), this custom Passive Solar home now stands in scenic northwestern Massachusetts. The main level of about 1350 sq. ft. features a central stairway surrounded by the kitchen/dining area, bathroom/laundry area, a study that could be used as a future main-level bedroom, and an entry bumpout. 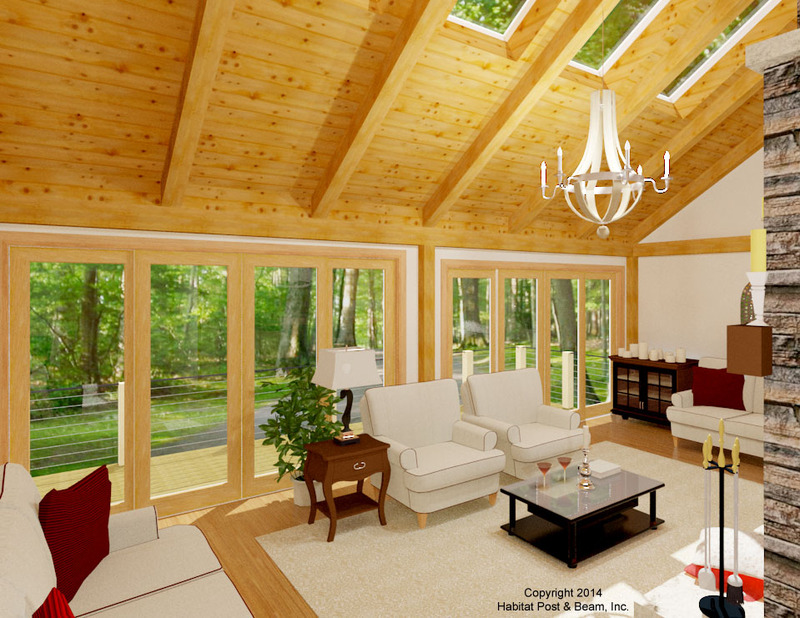 The living area opens out onto a deck, and is large and bright, with a cathedral ceiling and a fireplace. Upstairs (about 850 sq. 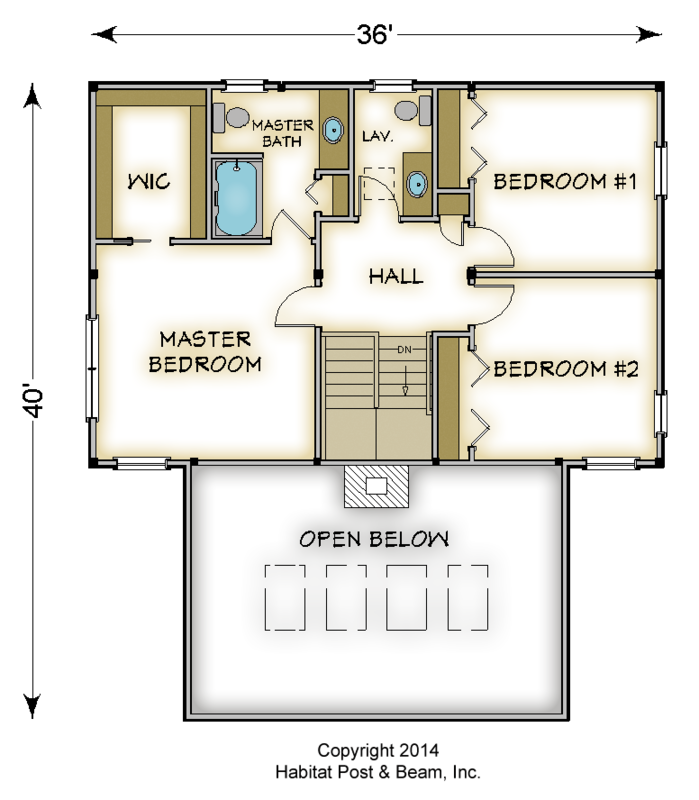 ft.) is the master bedroom suite, and two additional bedrooms and a bath. 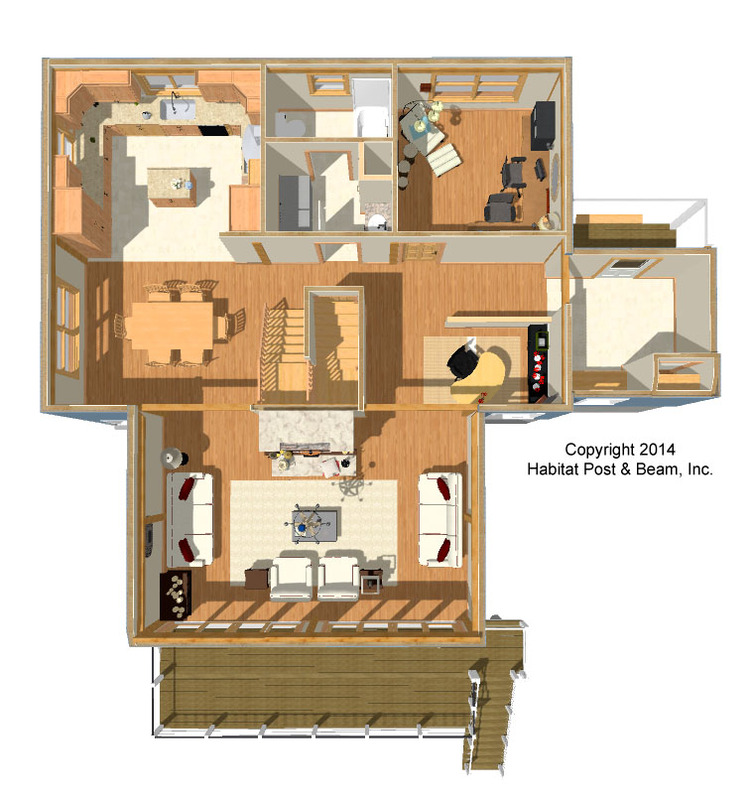 The lower level/walkout basement (1350 sq. 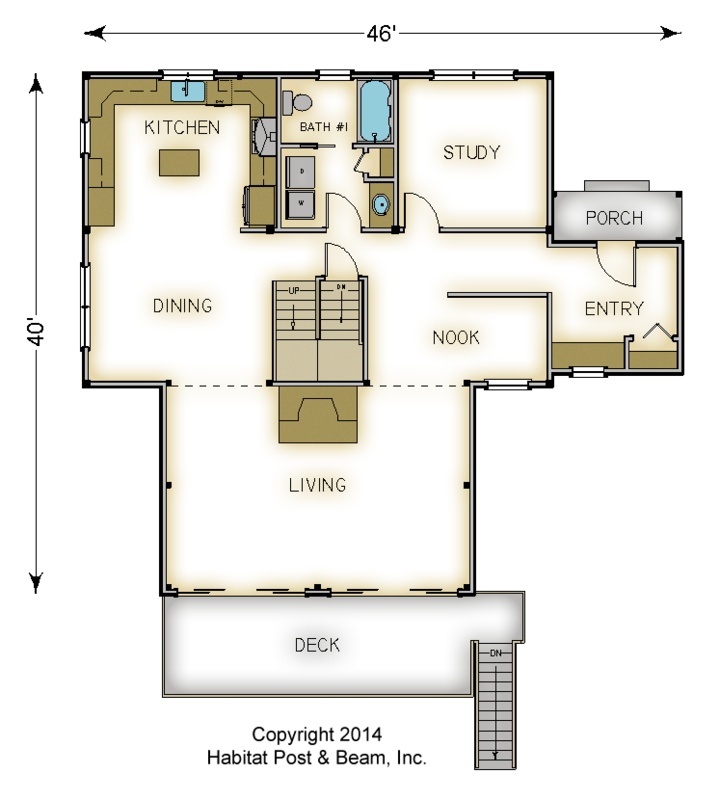 ft.) has a large utility/storage space, an additional flexible-use room, a fourth bedroom and bath, and a large family room that opens out to the yard. Package Price: $145,500 as specified below (from $130,000 to $162,500 depending on framing options). The standard price includes our Full Exposure Wall System, Plaster and Beam or Beamed Mid-Floor System (same package price), our Beamed Roof System over the living room, and our Plaster and Accent Beam Roof System with flat ceilings over the upper level. The walkout level (daylight basement), entry and entry porch are not included in the above pricing.